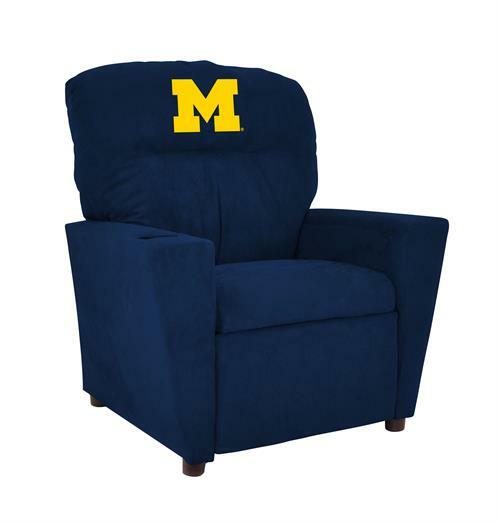 The Michigan Wolverines Kids Recliner by Imperial lets the whole family join in and watch the game in their own favorite team's recliner! The reclining chair features a very contemporary design, with authentic team color microfiber and a cup holder for the little fan. Embroidered patch logos are sewn on the headrest to show off your favorite team. Easy to move from room to room for enjoyment anywhere in your home! Dimensions: 24.5"x23"x28"; Weight 33 lbs.